Happy Friday Eve everyone!!!! And you all know what the eve of Friday brings us right? Yep, it’s time for our weekly installment of Thrifting Thursday!! I’ve been trying to cut back on the hoarding thrifting, but that doesn’t mean I’ve cut back on window shopping. So, this week you’ll see some interesting finds I’ve found meandering around a few local thrift stores. 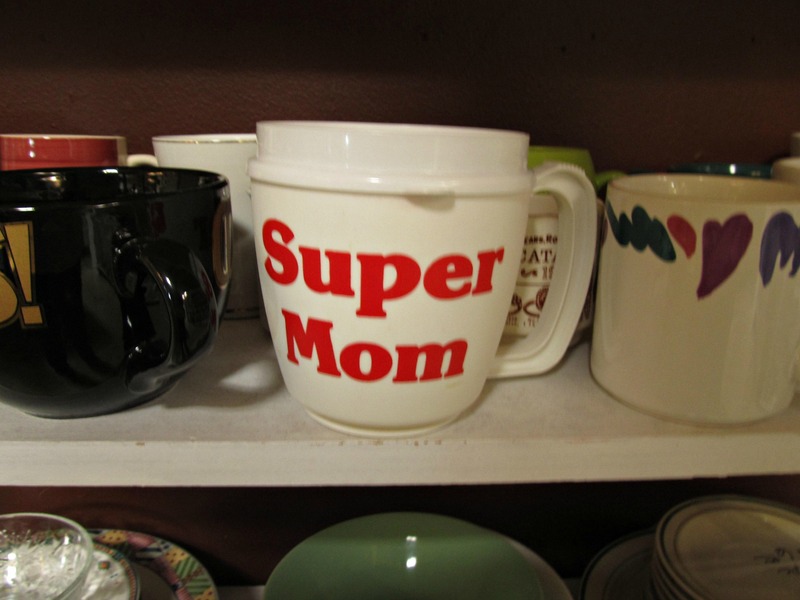 Who doesn’t love a Super Mom cup? Though, it’s not the most stylish piece it’s still pretty cute, especially if you have or are a super mom! Speaking of mom’s, everytime I see a little chicken I think of my mother’s poultry riddled kitchen. This creamer caught my eye and I immediately thought of mom. 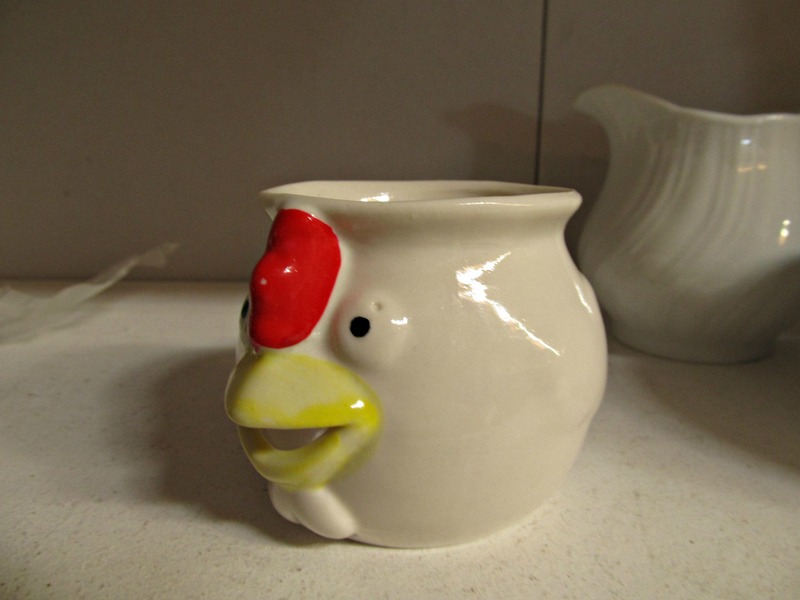 Although, I don’t know that she would use a chicken creamer, besides, wouldn’t it be weird having milk come out of bird? 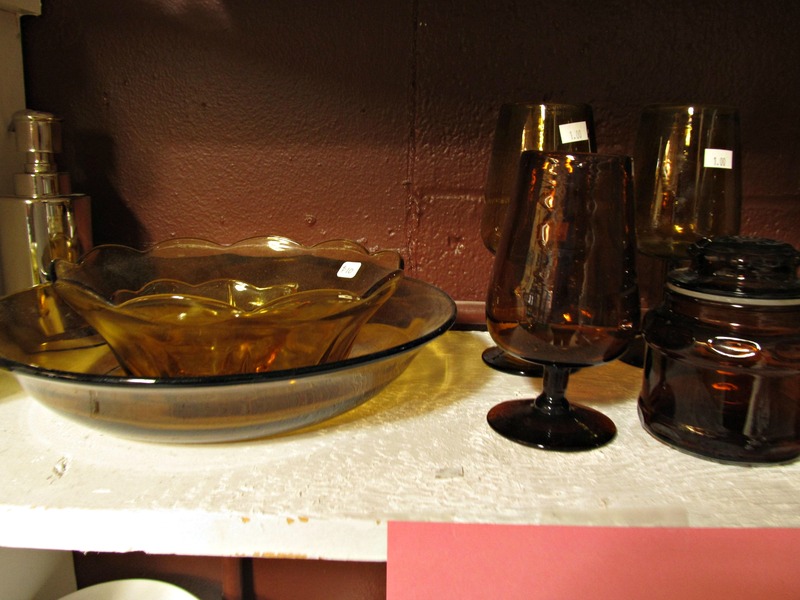 This amber colored glassware was cute, it would be really cute on a fall themed table. 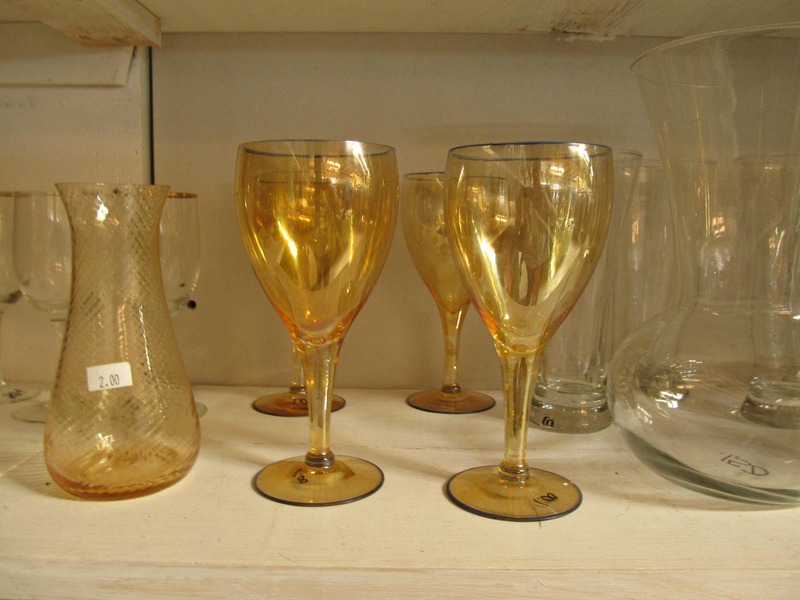 Don’t ya just love these iridescent amber colored stemware? It would really fancy up a fall table, or any table for that matter. They had four of these lights, they were huuuge. 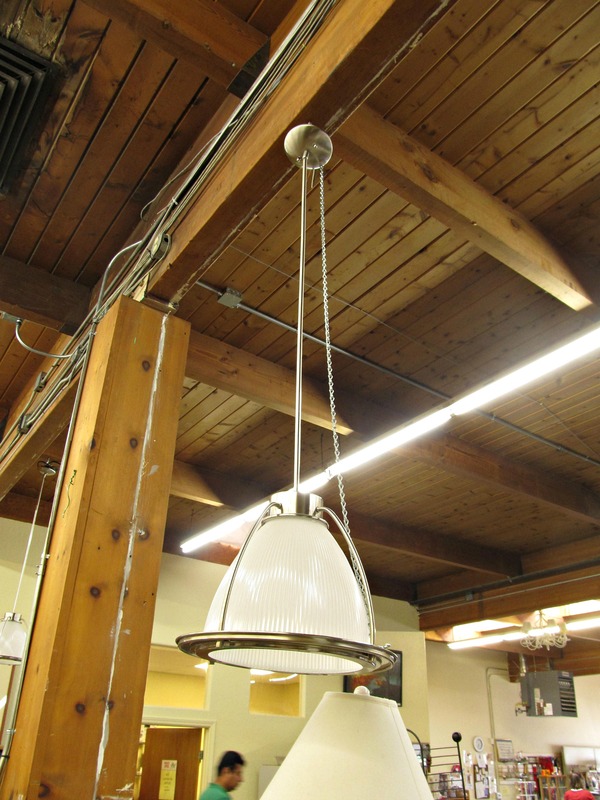 The lights hung down from the ceiling a good 6 ft, and were about 12 in in diameter. Much too big for my little casa. But they would look awesome in a larger home, perhaps in a kitchen with a vaulted ceiling? 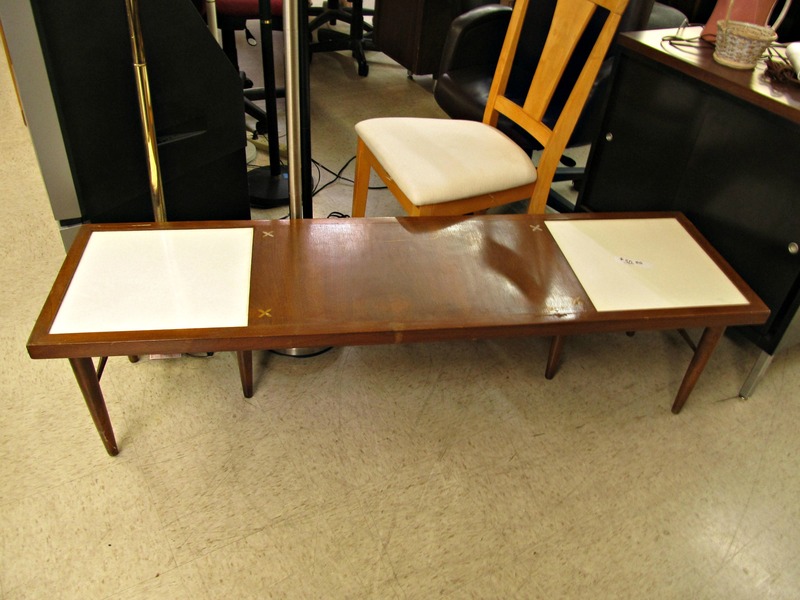 I loved the legs on this coffee table, as well as, the two toned treatment. You wouldn’t have to use it as a coffee table, just reinforce this guy and he could be used in a mud room or a foyer as a bench. Then we headed over to Savers, which sadly is located where the neighborhood grocery store used to be. Honestly, I would rather have the grocery store, what can I say my stomach speaks louder than my love of old stuff. He was 4.99, a little steep, but the hoarder in me couldn’t leave him behind. Well, I better get this up before we get too far away from Thrifting Thursday as my clock reads 10 after midnight!! EEK! 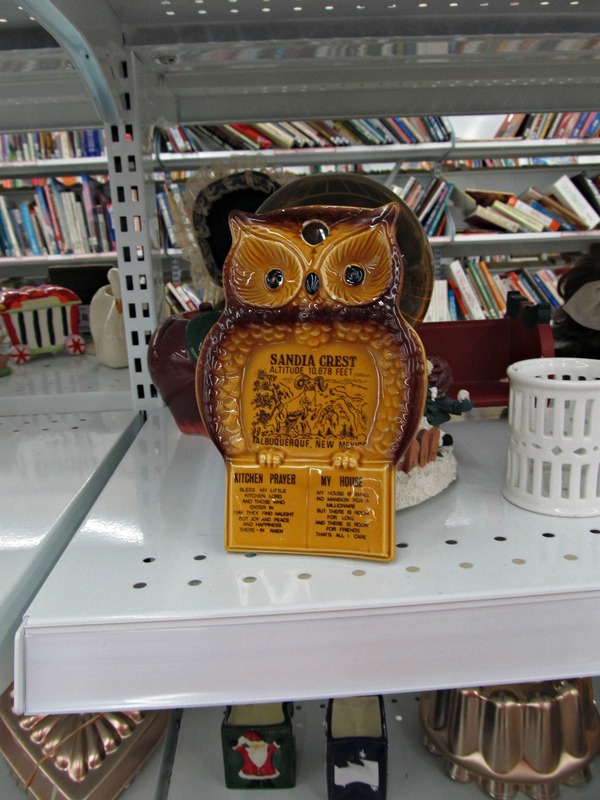 Have you seen anything interesting in a thrift store recently? Bought anything really awesome? Or did you have to wait outside while everyone else had all the fun? 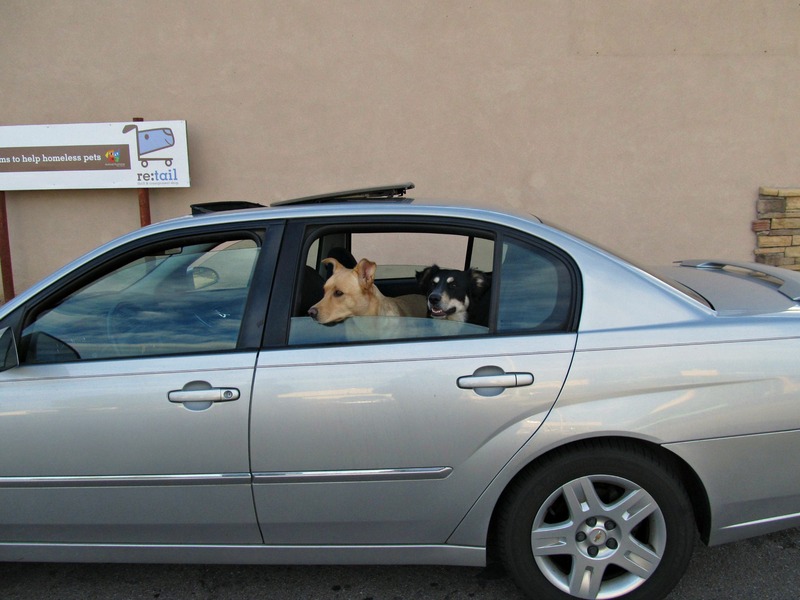 Don’t worry, they weren’t out there for very long, and got to go to the park afterwards. I love that the weather is cooling down, we can bring the girls with us now. They enjoy looking pathetic while waiting. I wonder if I could fit that coffee table into a flat rate box?? I commend you on staying out of stores, that’s one thing I could not do. Even if I don’t buy anything I still like to look. It’s just a habit, there’s nothing better than strolling through a thrift store after a busy and stressful day.